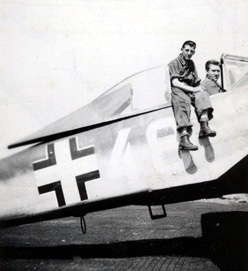 This FW 190 surrendered to us on VE Day, Tuesday, 8 May 1945, in Lippstadt. 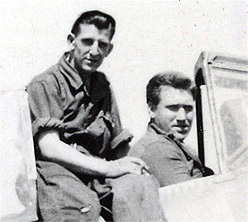 A close up reveals Al Kloess and Bob Heath in the 190's cockpit. 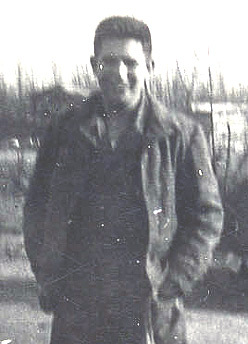 Bob Colangelo in Lippstadt, 1945. 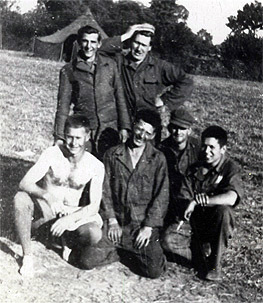 Lum Rawlins and Bob Colangelo in France, Sept 1944. 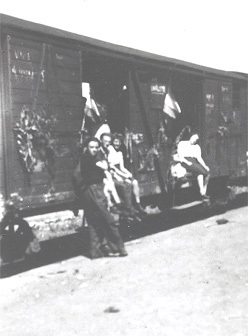 Train of displaced French and Belgium civilians - June 1945, Illesheim, Germany. 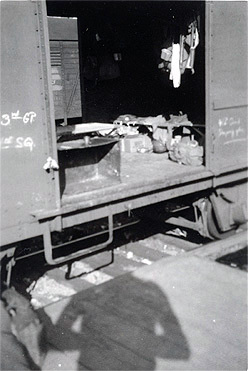 The old "40-8" German boxcar, so called because it could accommodate either 40 men or 8 horses, seen here ready to take us home from where we were 10 miles outside of Nuremberg, Germany - June 1945. 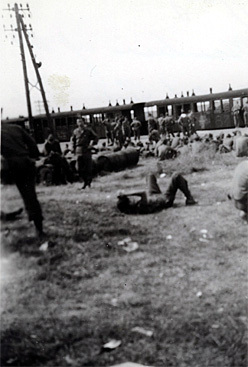 July 1945 in Reims, France - waiting for a German train to pull out and take us home. 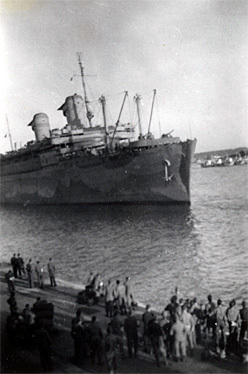 July 24, 1945 - The USS West Point pulls into Southampton, England. 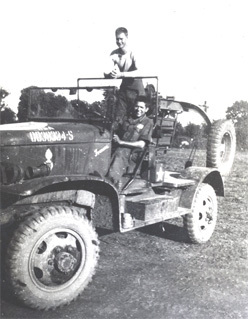 The next day we departed via the West Point for our home in the U.S.A. Europe had been freed of the Nazi regime. 412th Squadron patch and 9th AF images courtesy of Bruce Lowell and Bob Colangelo.